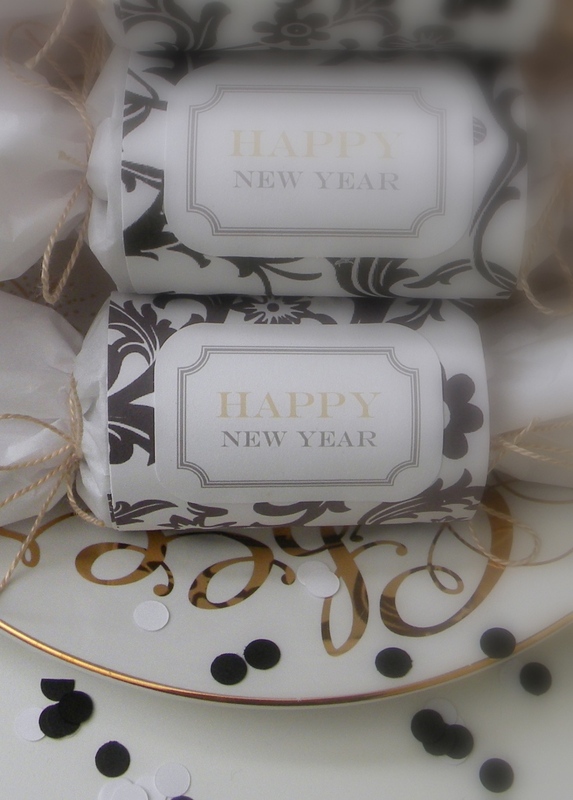 After the New Year’s ball has dropped and all the confetti tossed, send each guest home with a party favor wrapped up in a holiday cracker. Christmas crackers or poppers are used in many countries on Christmas. 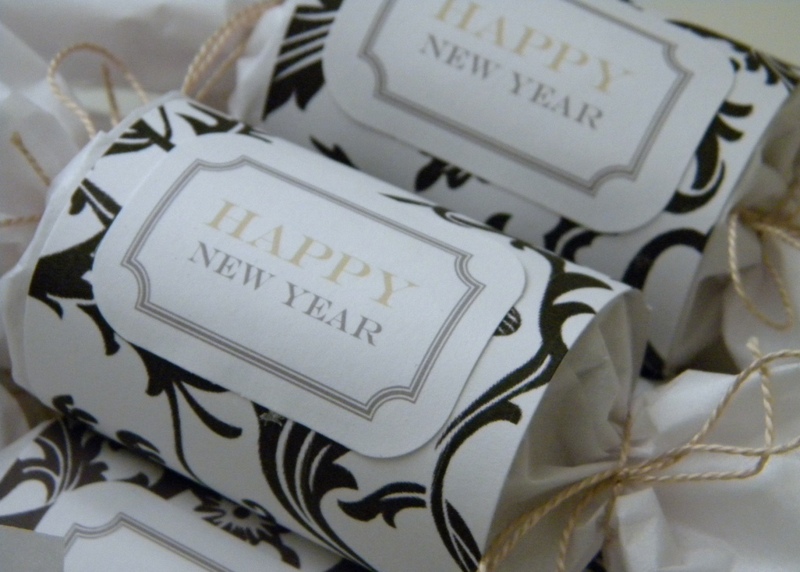 Typically, the cracker is filled with candy, small toys and notes. When the ends are pulled the cracker splits open with a small pop. Crackers are easy to make with paper towel rolls, tissue paper, decorative paper and ribbon or string. I filled my crackers with mints. 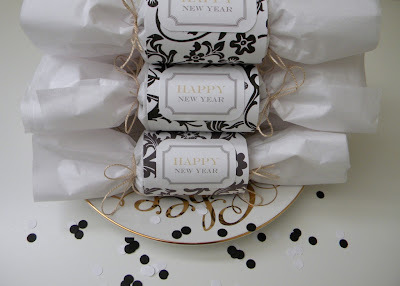 These aren’t true crackers since they don’t have the strip that makes them “pop” but they’re still a fun way to package up party favors. 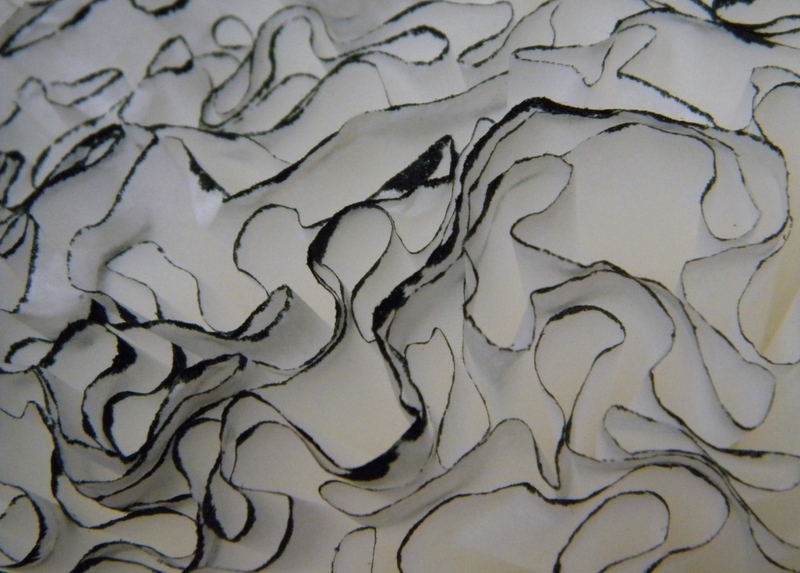 I hope you’ve enjoyed the Black and White New Year’s Eve Party ideas this week. May all your wishes come true in 2011. 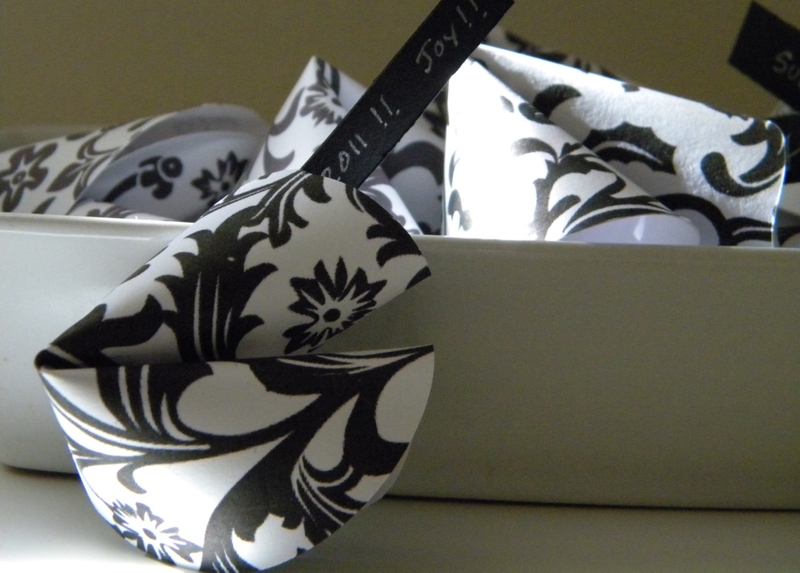 Thanks for sharing all your awesome ideas for the B&W Party! I LOVE YOUR IDEAS! Happy New Year! Did you make the labels? If so, they look very professional! Great job (as usual)! Thanks for sharing all these fabulous ideas. One question - I have tried making the fortune cookies before - with not much success! What weight paper did you use to get them looking so great? I just received the Stylish Blog award and am choosing 15 blogs to offer it to. I choose you! You may or may not accept it. That's up to you! 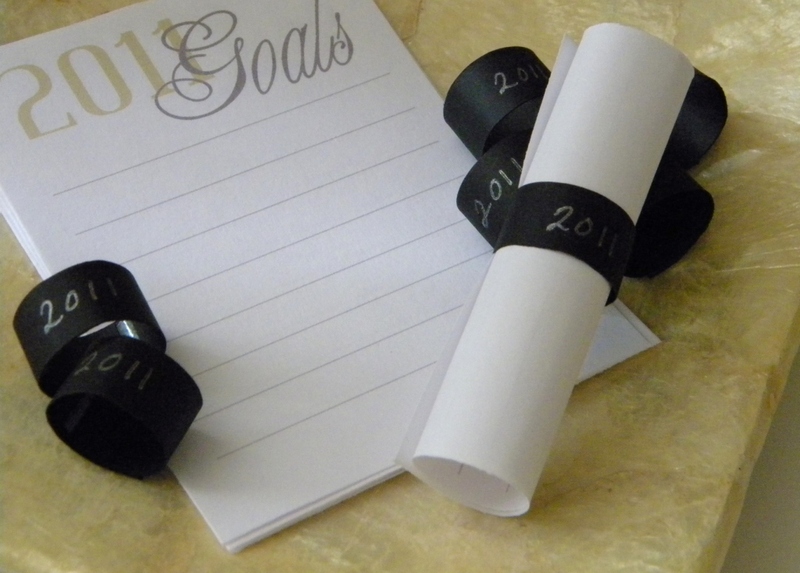 Oldies ARE goodies, so I just had to include this in my roundup of 15 New Year Crafts & DIYs on my blog! :) Happy New Year Carolyn!